Finally we stopped working on the installation in progress and celebrated the end with a public presentation and a rice house with car, kitchen, AC and other luxuories. Of course the car was parked inside the house, Taiwanese style . 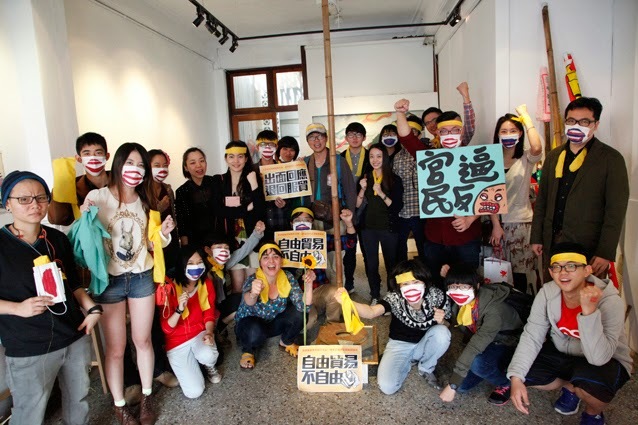 To show our support for the current developement in Taiwan, we created small actions together with the audience. Thank you Taiwan- you will always have a place in our hearts! 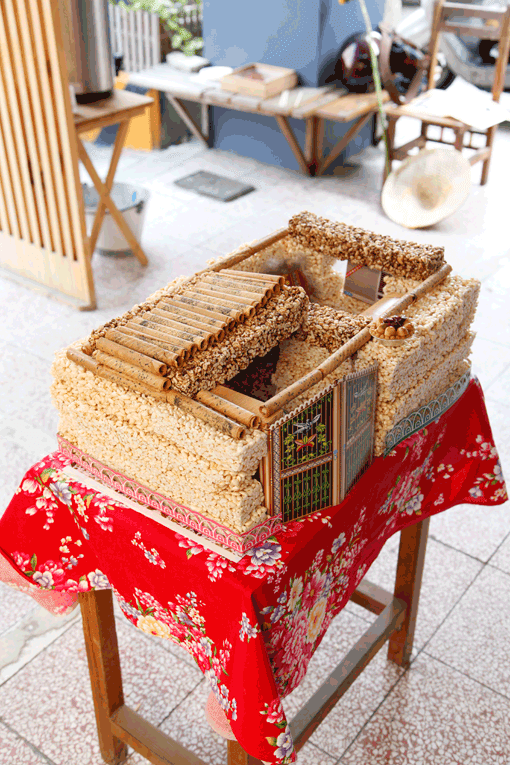 The dessert for the public presentation is a “little house” made by “pop-rice (Puffed rice)” and biscuits. 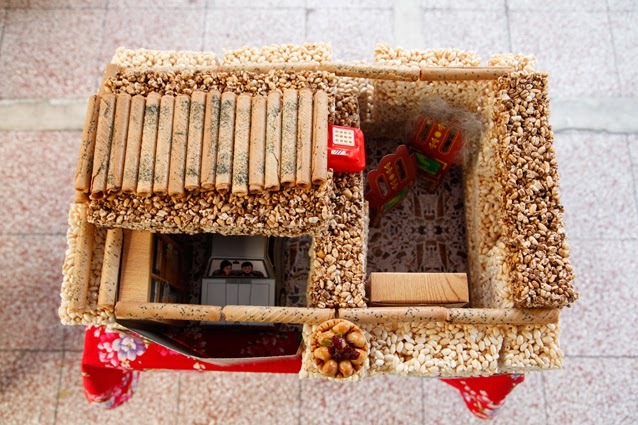 In Taiwanese funeral, family member will burn a kind of paper-made house for the death. It’s for sending the physical material into supernatural layer. 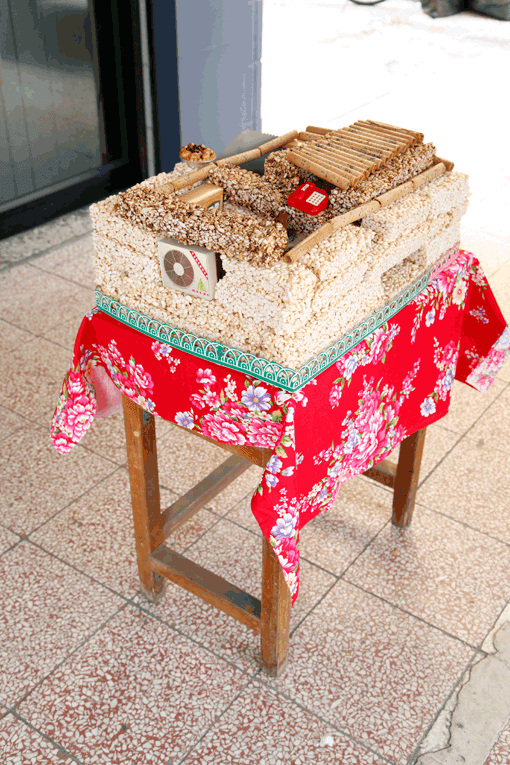 Rather than this traditional practice, In this public presentation, audiences ate this “little house”.